Forget to clean your water bottle? Yoga mat? Gym bag? We do, too. 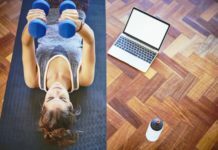 That's why we've researched 8 common fitness items you might forget to clean and the ways you can get them ship-shape.